The theme of Japan is my inevitable theme. 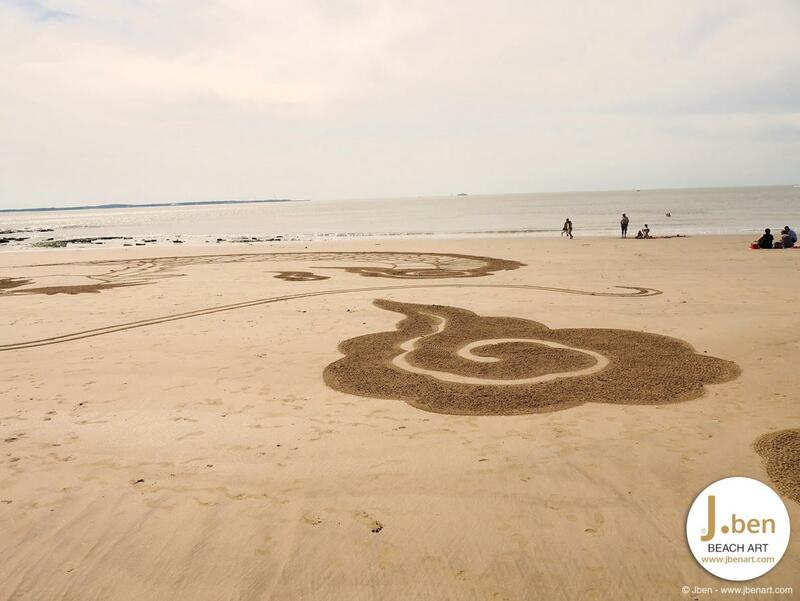 I also hope to be able to play beach art one day in Japan. So I had to propose a first drawing on the theme. 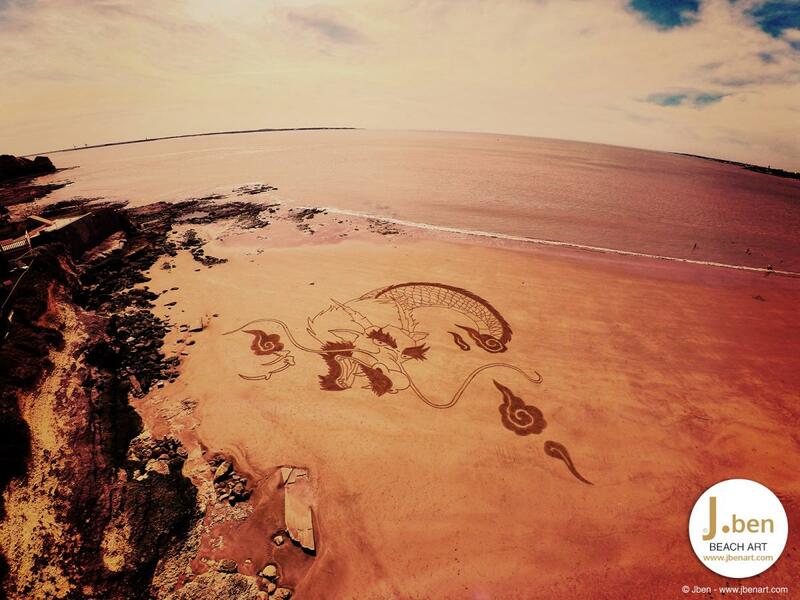 Choose to draw a dragon on the sand was not the easiest choice to make, but once again, I think I need a little challenge. 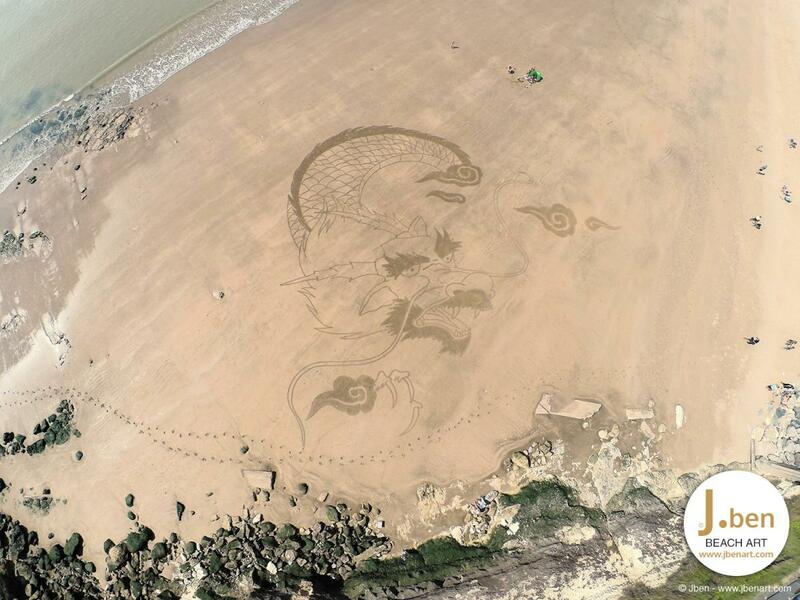 Direction Pointe de Valliere after the Great Conche in Royan to get into this new beach art project on a topic close to my heart. 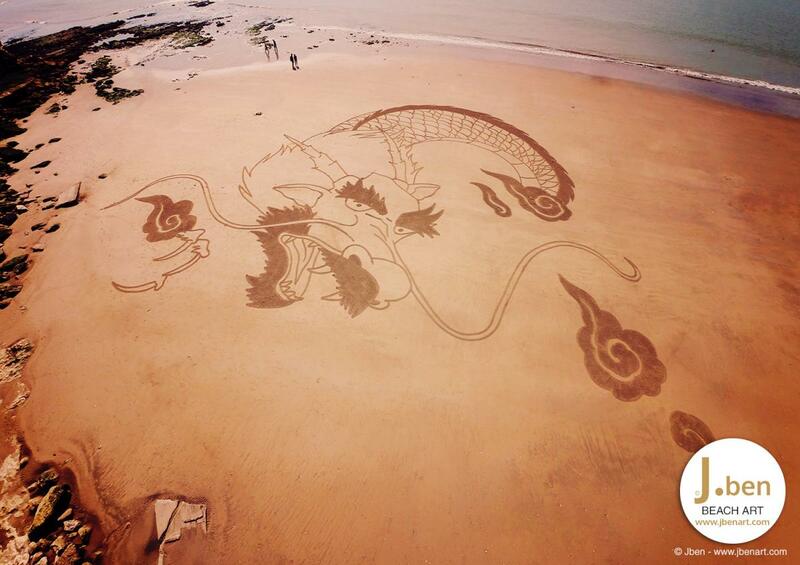 After 3 hours of tracing on the sand and filling, floating in the clouds dragon came to life. Time to take some photos before the tide goes back and walk away with the satisfaction of a successful completion! Error: Error validating access token: Session has expired on Monday, 05-Nov-18 05:38:02 PST. The current time is Monday, 22-Apr-19 08:00:27 PDT.